Most aviators are familiar with Garmin products and the functionality and user friendly technology in the Garmin G1000 just enhances the availability of today's technology with a glass cockpit. Standard in production on Daher's highly successful TBM 850 and 900 models along with Piper's Piston and turboprop aircraft, a good choice for the manufacturer in providing a multi-functional options capability glass cockpit terminology. MCA offer the G1000 system retrofit as an STC for both FAA and EASA on the trusted King Air 90, 200 and 300 series aircraft. Integrating engine instruments complying with the latest certification requirements such as ADS-B, TAWS-B this RVSM certified avionic suite has options for ESP, Chartview, Synthetic vision and Connext satellite phone. The system comes with a new autopilot including servos and controllers and is backed by Garmin's unsurpassed warranty. Added benefits of the installation in the King Air is a projected reduction in aircraft APS weight of 200lbs. New cables and wiring bring the added benefit of reliability to the modern avionics without the need of troubleshooting old out of production units interfacing with modern technology. 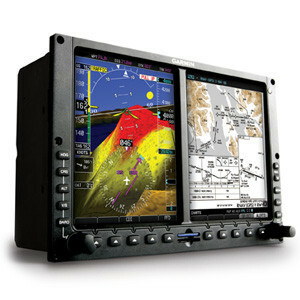 Garmin G5000 is the latest offering for the Beechjet 400 series/400XP. In Garmin's words "Looking Ahead, Reaching Beyond" the new G5000 brings touchscreen technology into the Beechjet and following on from the success with the G1000 in the King Air new cabling, new wiring, and new autopilot including servos mean bigger payloads and reliability. Just some of the benefits for this advanced flight deck update include dual touchscreen display/controls with intuitive menu interface, full FMS integration through dual-channel Garmin digital flight control and WAAS LPV approaches down to 200ft minimums.